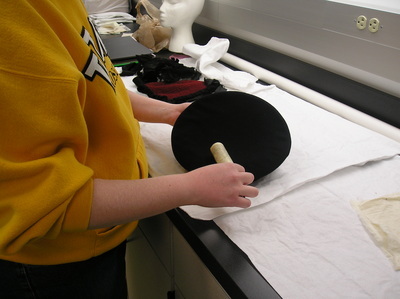 University Museums at Iowa State University asked me to complete a wet cleaning on a small art quilt. The quilt was hanging in a campus building affected by the flooding of 2010 and could contain mold spores. 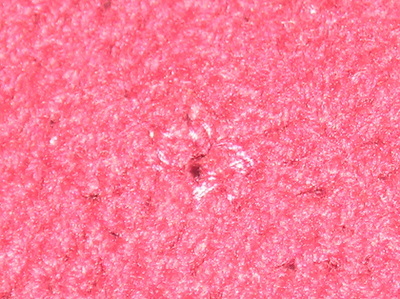 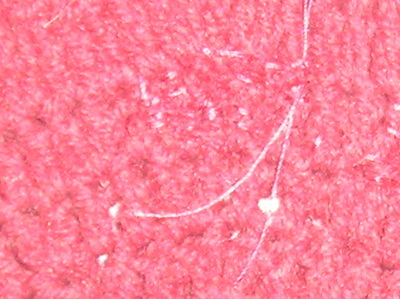 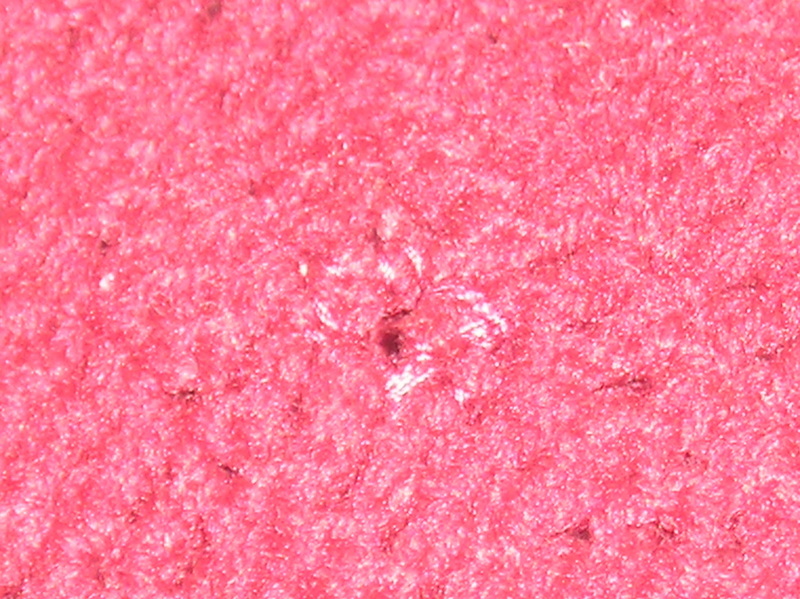 Wet cleaning would remove these mold spores so further damage and discoloration would not occur. 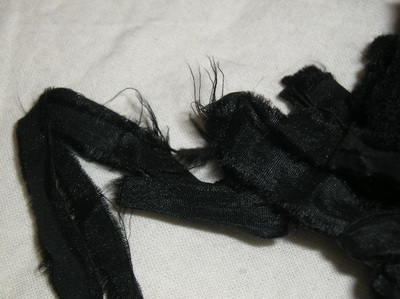 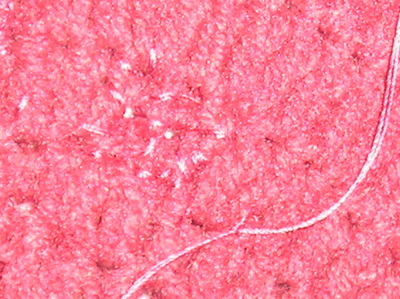 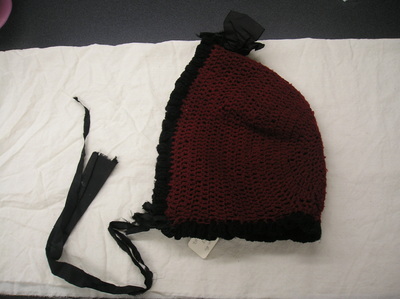 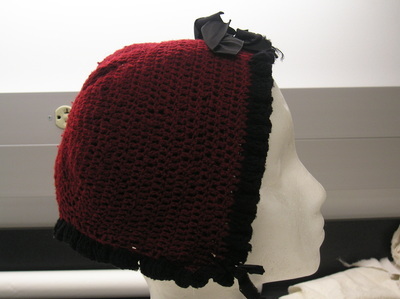 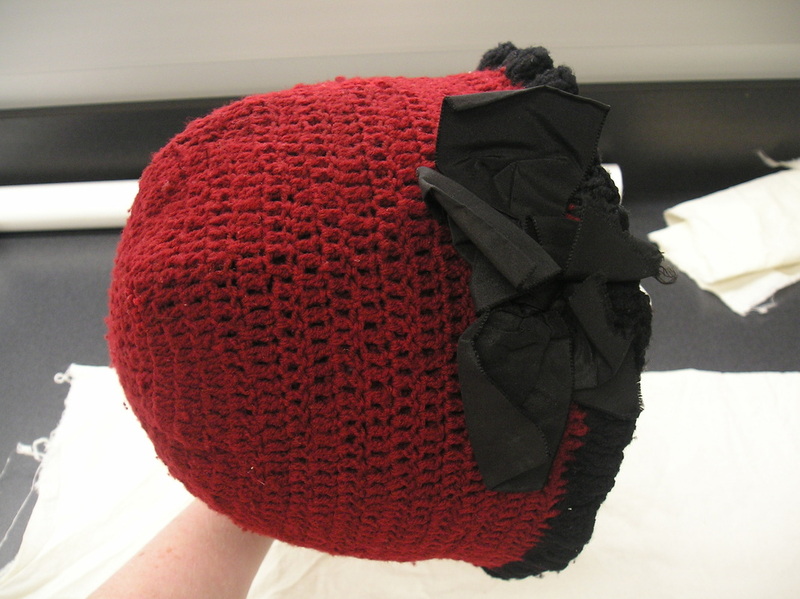 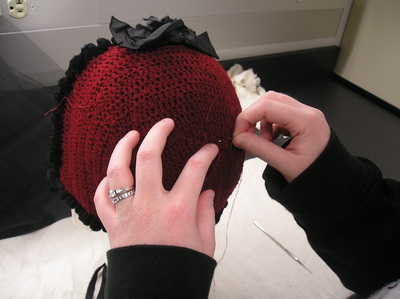 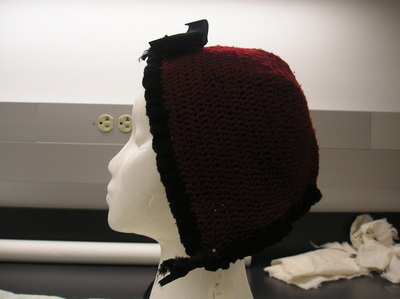 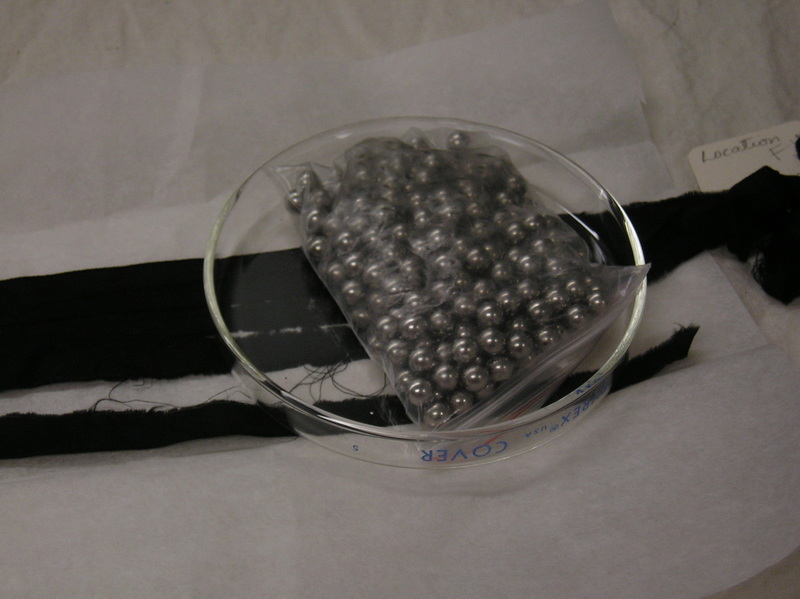 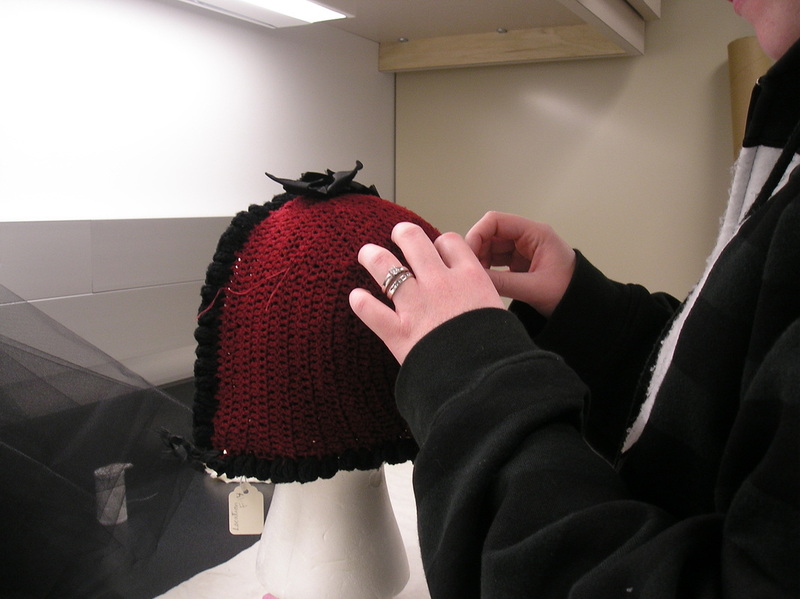 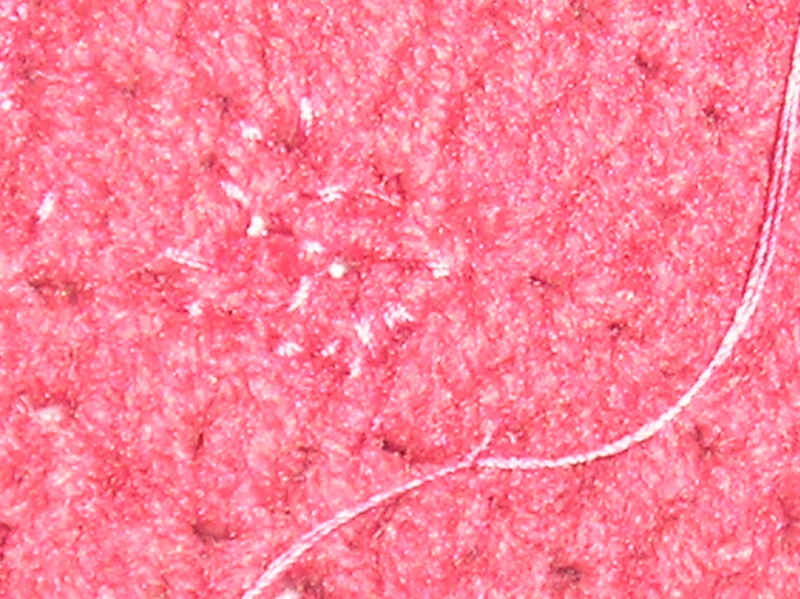 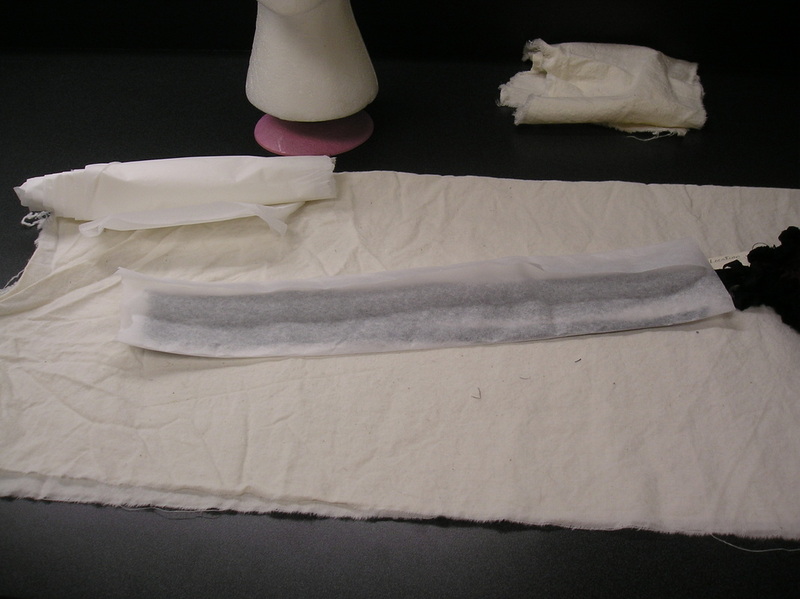 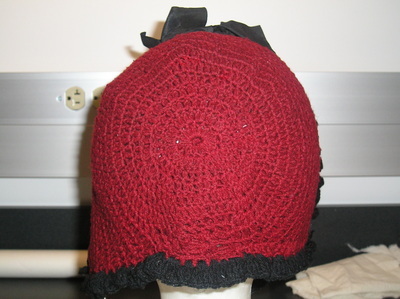 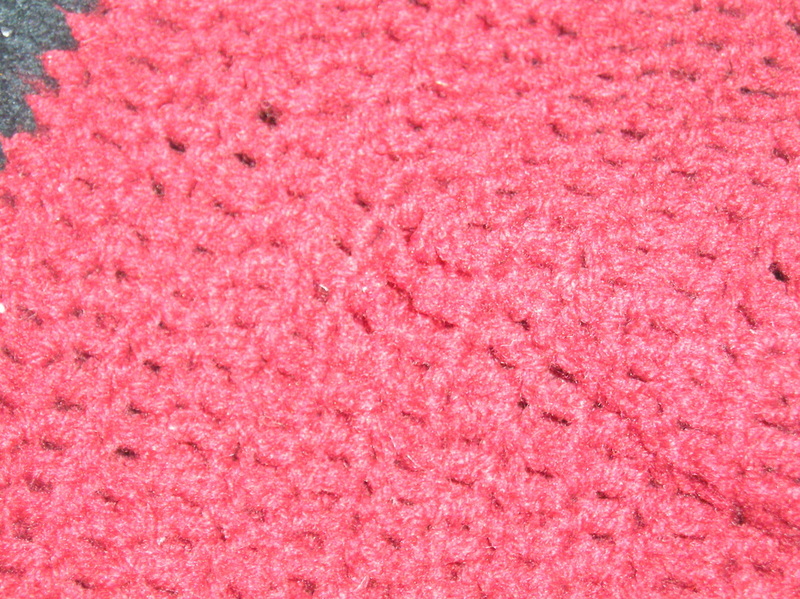 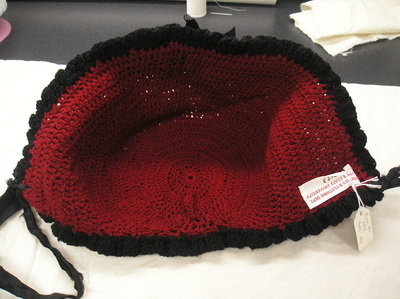 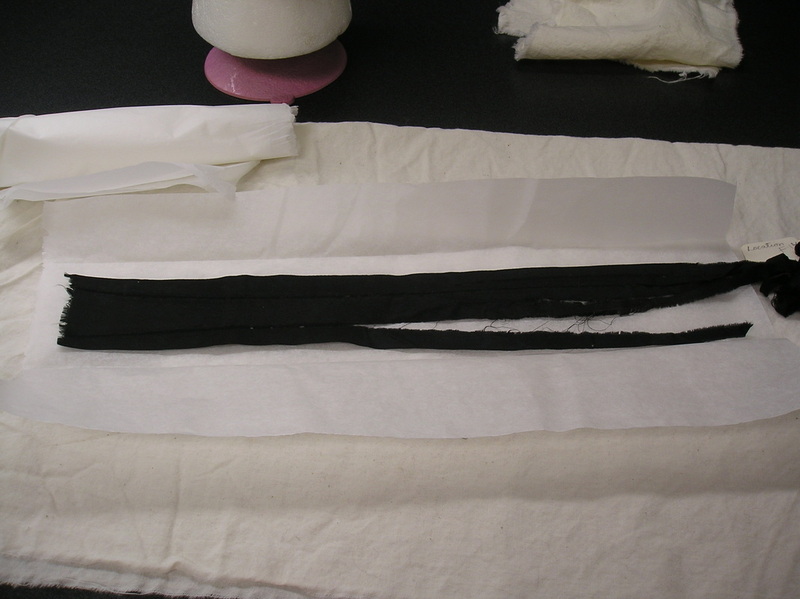 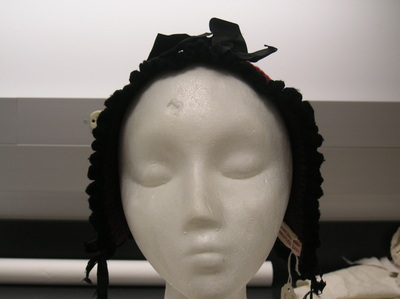 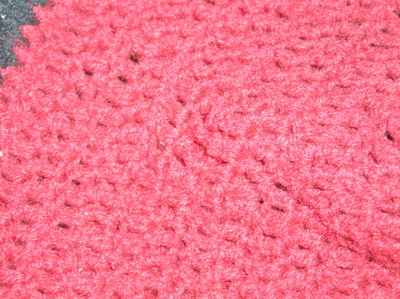 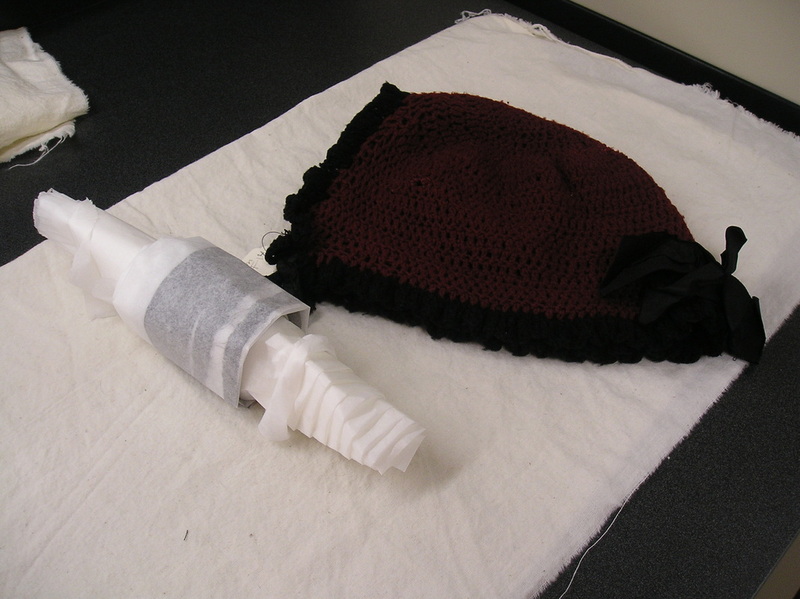 The burgundy crochet bonnet with black silk trim had several issues that needed to be addressed for conservation: the silk ribbon ties were severely creased and wrinkled; small holes in the crochet which would continue to grow in size; and overall dirt which needed to be removed. 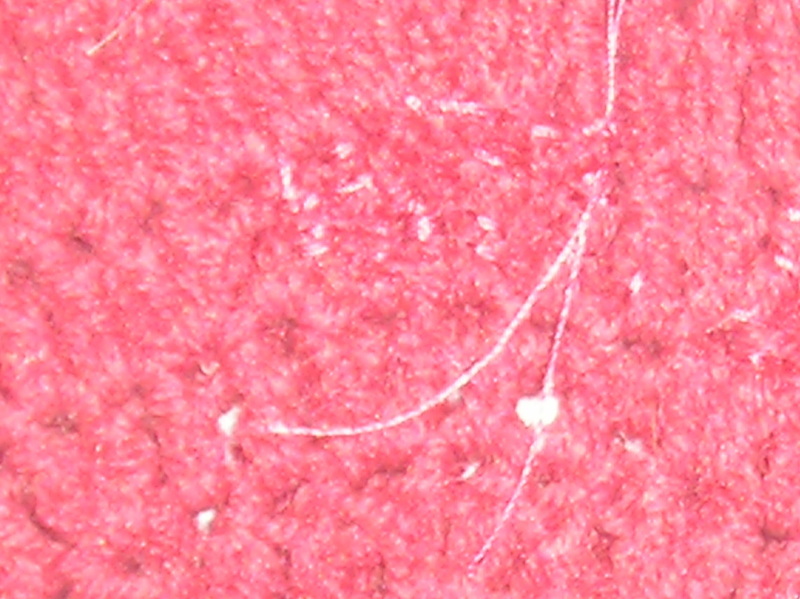 Scroll over the pictures for further explanation.